We offer Reverse Osmosis- RO water purifiers/water filter systems and under sink water filters useful for small to big families. 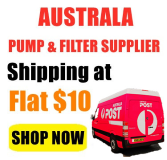 We only source all the products from well-known brands around Australia, at quite low prices. . 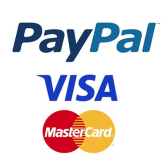 If you need advice or assistance or simply have some inquiry, please call us on 02 96832253?or email your name and contact number at customerservice@clicktobuy.com.au and we will contact you shortly. Whole House Water Filter System Big Blue (2 stages) 10" x 4.5"